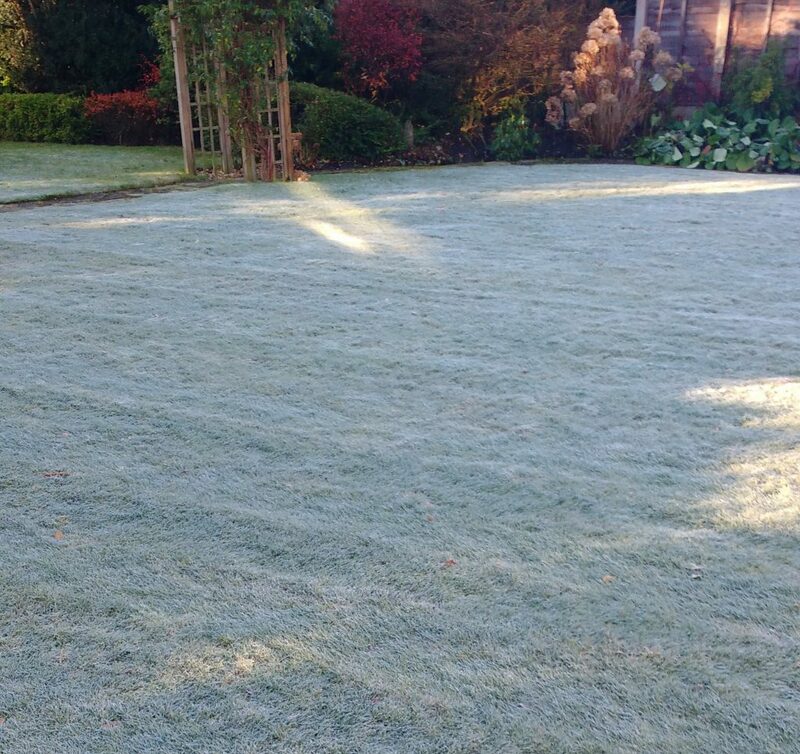 Home » Snow and Frost • Winter Lawn Care » Will frost harm my lawn? 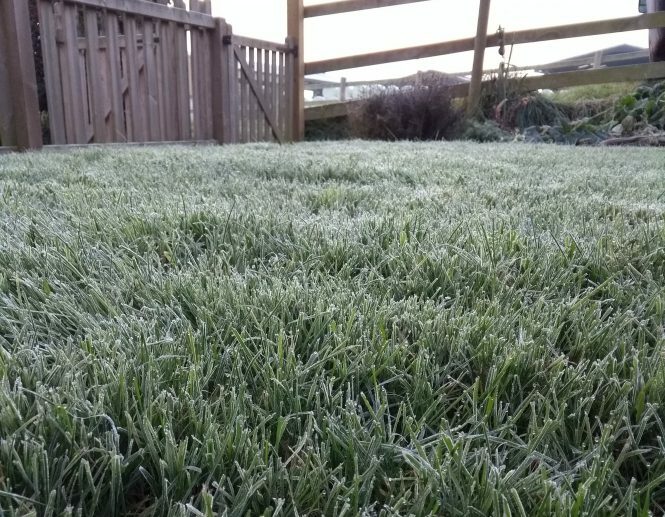 Will frost harm my lawn? As the winter draws in, the nights become colder. 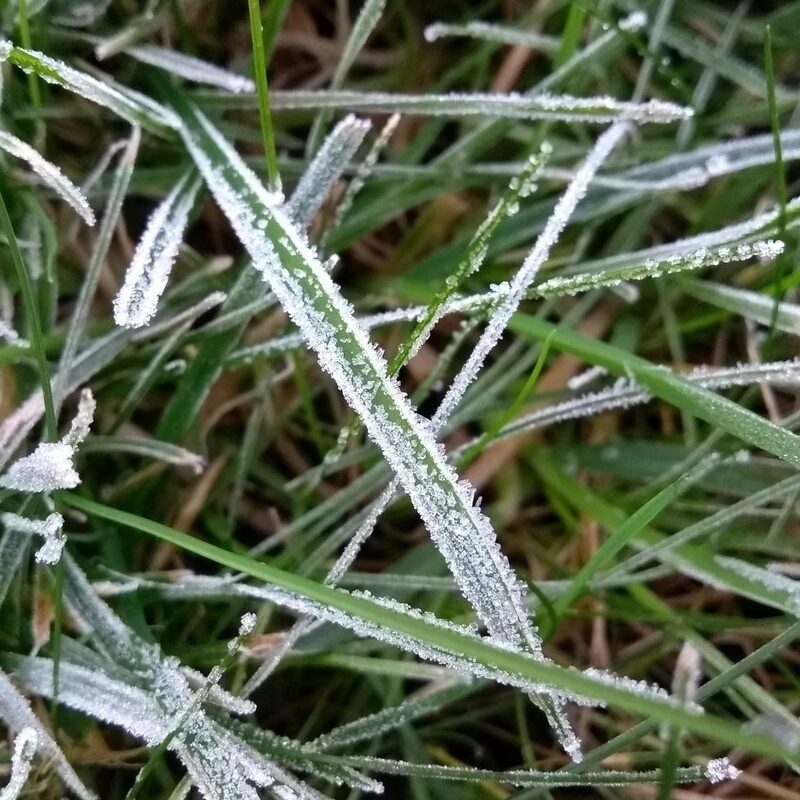 When the air temperature near the ground drops below zero, frost can form. This looks beautiful on a still, winter morning. But does it do any harm to your grass? Frost is the coating of ice that forms on a solid surface overnight. It usually appears as white crystals near the ground or on grass leaves. Frost is delicate, branched ice crystal patterns. These crystals form as the result of fractal process development. Frost formation on a surface indicates that the air temperature has fallen below the freezing point of water. The size of the crystals depend on how long they have been forming and the amount of water vapour available in the air. The crystals may be clear or translucent. Like snow, a mass of crystals will scatter light in all directions, so a coating of frost will appear white. Will it harm my lawn? Grass is fully hardy and able to withstand very low temperatures. Frost itself does not harm grass. Once the air warms, it will melt and the grass will return to being green. Yet, grass itself is fragile while frozen. The water inside and around it turns to solid ice. If the grass has pressure applied to it, the ice acts like a knife in the grass leaf. It ruptures cell walls and rips tissue. The damaged of grass leaf area can die and turn brown. 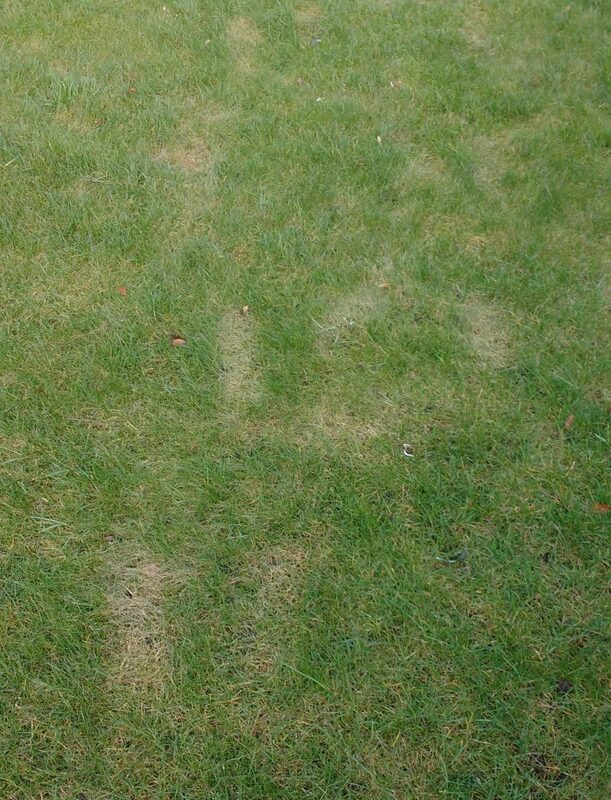 This can cause unsightly patches on your lawn. This is why it is not advised to walk on a frosted lawn. A heavy boot bends the frozen grass blades and breaks them. The damage can be visible and the grass plant may not recover from it for some months. So stay off a frosted lawn and admire it from the edges. Do not mow it and do not apply any lawn treatments. If you leave it alone to warm and it will come to no harm. Why does grass turn yellow in the winter?